June 18, 2016: We had a great time at the 34th Annual Coney Island Mermaid Parade with our friend and artist, Jim Su. Jim is mentioned for his body painting in the Metropolicks chapter, "Me Horny, You Available?" Checkout some of Jim's artwork. We love the colorful, carnival-like atmosphere of the Mermaid Parade! 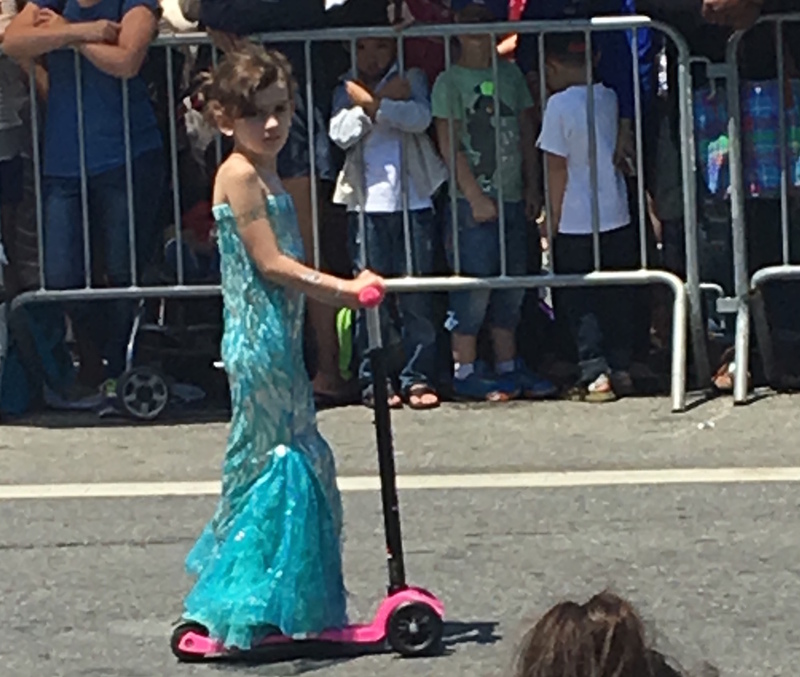 In fact, one of the chapters of Metropolicks, "Uninhibited," takes place at the Mermaid Parade. The parade is also mentioned in the summer events section of The Metropolicks We Call New York City: A Guide for Singles. 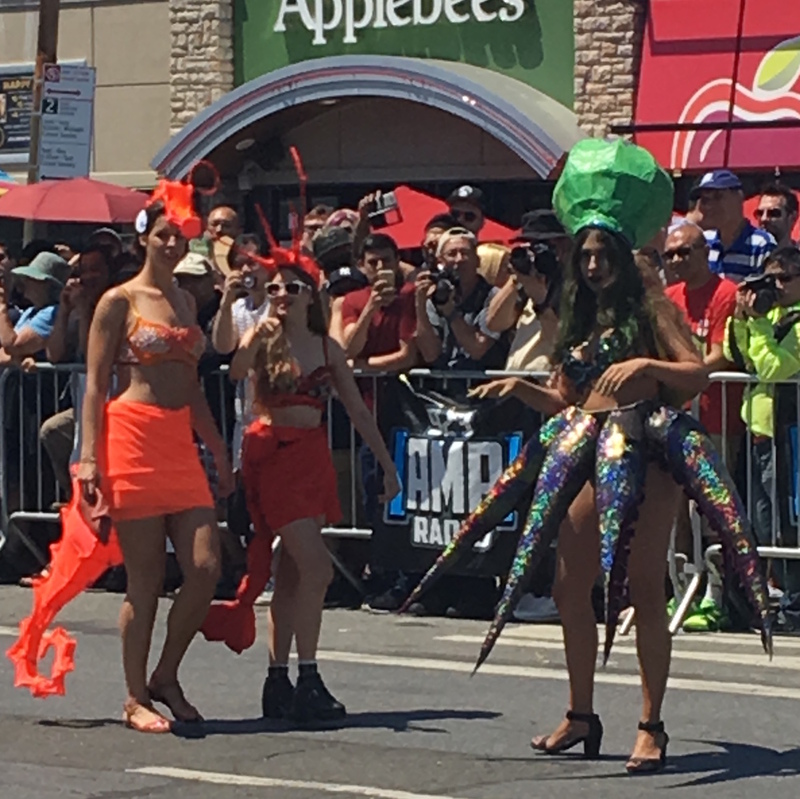 Mermaid sightings at the parade included: a Wonder Woman mermaid, a Mermaid off duty, and Barbie mermaids. We also saw a creative "Sponge Bob" and a Starfish Wars group! Checkout our album below to see some of the amazing costumes we saw at the parade.